Dig deep into this startling and challenging sermon. 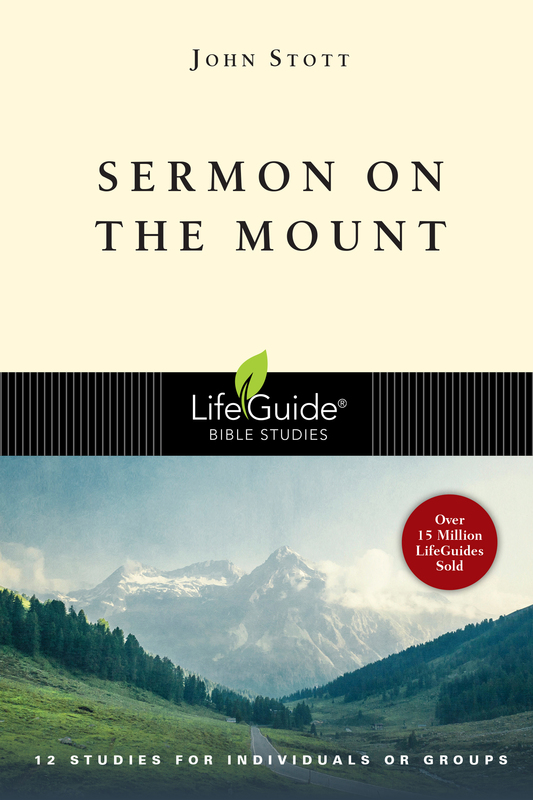 In twelve inductive Bible studies, you'll dig deep into the startling and challenging message of the greatest sermon ever preached—the Sermon on the Mount. Jesus promises that those who hunger and thirst for righteousness will be filled. What can you do to cultivate a healthy, hearty spiritual appetite? What possible influence could the people described in the Beatitudes exert in this hard, tough world? What is one way you can begin having a stronger influence as salt and as light? Some people claim that Jesus abolished the law for the Christian and that we are only responsible for obeying the "law of love." Yet Jesus defines Christian character in terms of righteousness. How should you study and apply the Old Testament Law today? Throughout the Sermon on the Mount, Jesus seeks to deepen, not destroy, the Law's demands. In what situations might you need to "gouge out an eye" or "cut off a hand"? How does Jesus' teaching about the seriousness of divorce contrast with the views you and your peers have held concerning marriage and divorce? Jesus calls us to show our attitude of total love to an "evil person" and our "enemies." Nowhere is the challenge of the Sermon greater. In what situations might Christ's commands apply today? Which of your words and actions might a person find hypocritical? Jesus saw the worldliness of the nominal church and commanded the Christian community to be truly distinct from it in life and practice. What are you pleased or encouraged about regarding your prayer life? What area do you struggle with? According to Matthew Jesus gave the Lord's Prayer as a pattern for us to copy. Will Christian faith make a difference as you set your ambitions? In this passage Jesus helps us to choose well. Matthew 7 shows that the Christian counterculture is not an individualistic but a community affair, and relations within the community are of paramount importance. Would people say that you have been an encouraging presence in the Christian community? Why or why not? Why do you think many people dislike the notion that there is only one true gate? The final paragraphs of the Sermon teach that the issue of life and death on the day of judgment will be determined by our moral response to Christ and his teaching in life. On what basis do you expect to enter the kingdom of heaven? John Stott is known worldwide as a preacher, evangelist and communicator of Scripture. For many years he served as rector of All Saints Church in London, where he carried out an effective urban pastoral ministry. His many books include Why I Am a Christian and The Cross of Christ. He is a coeditor of The Bible Speaks Today series, and wrote several individual volumes in the series. InterVarsity Press's John Stott Bible Study Guides are based on that series.